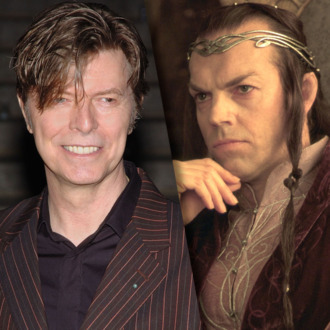 But rumor has it that it wasn’t Gandalf but, rather, Elrond, Lord of Rivendell, a part eventually played by Hugo Weaving, that Bowie had auditioned for. In a 2001 EW article, Jackson said that he wanted to cast relative newcomers, lest someone’s fame overshadow the part. “These are famous, famous characters, loved for nearly 50 years,” Jackson said. “To have a famous, beloved character and a famous star colliding is slightly uncomfortable.” No doubt he was afraid all we’d see is the Goblin King from Labyrinth, which, fair.